Located in the northeast of India, the small state of Tripura is surrounded on the north, west and south by Bangladesh, with Assam and Mizoram to its east. 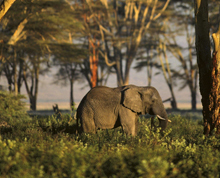 The state consists of low hills, going up to about 3000 feet, and plains, where most of the population lives. A tour to Tripura is sure to be a very exciting prospect because of its ethnic cultural diversity, its earthly beauty, places of worship, museums and palaces. Tourist attractions have increased by many folds over past few years. 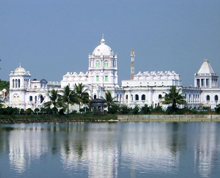 Agartala: This is the capital of the state and is on the banks of the Haora river. The city is famous for its people, temples and palaces. Some of the interesting places to visit include Benuban Bihar, Gedu Mian Mosque, Kunjaban Palace, Jagannath Temple, Sukanta Academy, Laxminarayan Temple, Portuguese Church and Puratan Agartala. Pilak: Dating back to 8th and 9th centuries it is a treasure house of Hindu and Buddhist sculptures. Beautiful images of terracotta plaques and sealings give a fascinating glimpse into history. Deotamura: This site is remarkable for the rock cut reliquary having antediluvian idols of Shiva, Ganesh, Vishnu, Kartikeya, Mahishasur Mardini Durga and other gods and goddesses carved out of stone. The large images carved on vertical rocks are immensely beautiful. Jampui Hill: It is home of eternal springs, beautiful land scapes. The hill ranges shelters Mizo and Reango tribes. The place has many varieties of orchids and is a pleasure to visit. Neermahal Palace: This water - palace built on RudraSagar Lake is a royal Palace with influence of Hindu and Mughal architecture. Ujjayanta Palace: Built by Radhakishore Manikya Bahadur in190, this Mughal and Indo Greek styled palace is located in the heart of city.